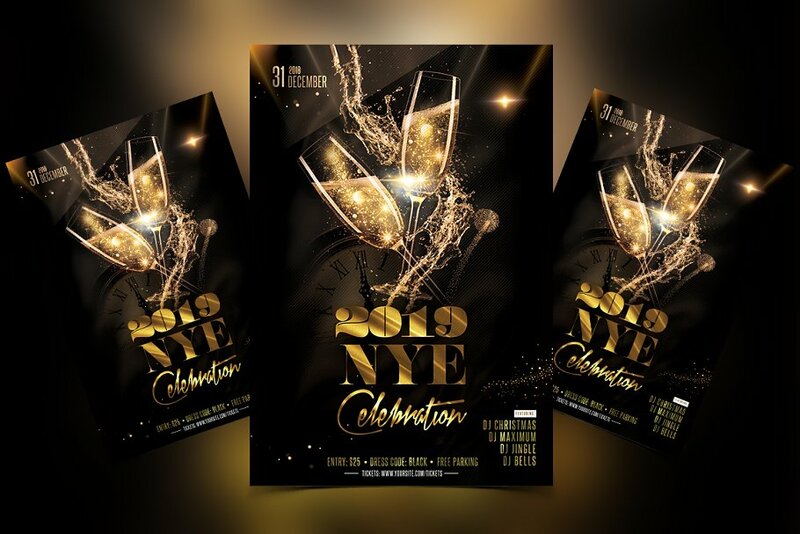 2019 New Year Eve is premium psd flyer template to use for your next New Year party. This flyer is fully editable and easy to customize. Style is for any luxury black and gold event and works for any other events.